Imagine going 29 years without seeing someone you love - without speaking to them, even. Imagine going 29 years not knowing where that person is. Not knowing if they're even alive. Imagine if the last thing you said to that person before they disappeared was, "I hope you die." Imagine that person was your mother. In 1988, then 12-year-old Jamie Williams moved to Baton Rouge, Louisiana with her mom, Rebecca Pauline Gary. The first Christmas in the new town, though, Rebecca sent Jamie off to Jamie's maternal grandmother in Shreveport, Louisiana for the holidays. Rebecca, meanwhile, stayed in Baton Rouge. "It was strange because it was a spur of the moment," Jamie told Dateline about her mom sending her away for the holidays. "It was just weird. I wanted her to come with me, and she wouldn't." Despite Jamie's protests, Rebecca bought her daughter a one-way bus ticket from Baton Rouge to Shreveport for December 18, 1988. Jamie says her mom and she were fighting about the trip up until the very moment she stepped on the bus that would take her on the four-hour trek. "The last words I spoke to my mom were, 'I hope you die,'" Jamie said. "And I turned around and got on the bus. Looking back it's almost as if she knew something and she was trying to get me out of there." Christmas came about a week later, with no call or note from Rebecca. Then, two days later, the phone rang. "She called my Aunt Joyce on December 27 and told her it wasn't working out in Baton Rouge and she needed someone to come get her," Jamie told Dateline, adding that her mom didn't provide any details on why she needed help. "Joyce says she told the message to Rebecca's best friend [who lived in Baton Rouge] and thought he would go get her." But nobody went to get Rebecca. And nobody came to get Jamie, either. Rebecca's sister Joyce Lee told Dateline she called the police every day after that but was told Rebecca was probably just "off having a good time" and shouldn't file a missing persons report. "I should have been picked up after Christmas," Jamie said. "I don't know if it was because I was so freaked out, but I have blacked out so much of what happened during that time. I remember feeling just terror and dread that I was never going to see my mom again." In the first week of January 1989, Jamie says Rebecca's apartment manager called her Aunt Joyce to say the rent was due, but Rebecca wasn't answering her door. Under Aunt Joyce's advice, the apartment manager let herself into Rebecca's apartment. "The coffee pot was on, there were two cups on the bar, there was a bath run and her stuff was packed up," Jamie told Dateline. She added that "it looked disheveled," and Rebecca was nowhere to be found. "The [apartment management] said they had to put her stuff on the street because the rent wasn't paid," Rebecca's sister Joyce told Dateline. "I said, 'No, you can't do that until the police come and take fingerprints and stuff.' The police never came. So I called my brother Glen [to] go get her stuff and bring [it] to my house." The Baton Rouge Police Department told Dateline that Glen reported Rebecca as missing on January 20, 1989. "That is what really aggravates me," Jamie said. "By the time the police were involved, everything had already been taken out of the apartment." Jamie told Dateline she fears crucial evidence was tainted and destroyed altogether when her uncle, Rebecca's brother, emptied the apartment. In the years since, family has told Jamie they waited a few weeks before reporting Rebecca missing because they "thought she'd just eventually come." Jamie said some Baton Rouge detectives traveled to Shreveport around Valentine's Day - nearly one month after Rebecca was reported missing - to ask her questions about her mom's disappearance. The Baton Rouge Police Department was unable to elaborate on case specifics to Dateline, but Detective Chad Montgomery confirmed that Rebecca's case still an open investigation. Jamie never left Shreveport. Her grandmother raised her from that day on. Jamie is still searching for her mom; partly for herself, but also for her grandmother, who is now 92 years old. "It's like this void -- this hole. I would like for my grandmother to have some closure before she passes," Jamie told Dateline. "I do not believe my mom is still alive. I believe that someone did something very bad to her. I pray for a death-bed confession. "If I ever won the lottery, I would give up every single penny for someone to tell me where her remains are," Jamie told Dateline through tears. "I don't have anywhere I can go to grieve her." Rebecca Pauline Gary, who would be 61 years old today, was described as being 5"1' tall and weighing 105 pounds in 1989. She has green eyes, brown hair, and a birthmark on her right leg. 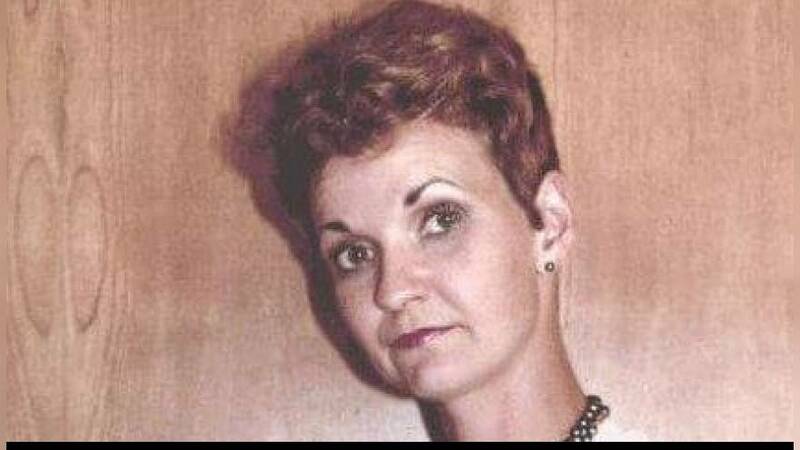 For more information on Rebecca's case, you can visit the Facebook page her daughter Jamie runs called Help Find Rebecca Pauline Gary Missing December27, 1988. If you have any information on Rebecca's whereabouts, please call the Baton Rouge Police Department at 225-389-2000.